Ah, the middle 2000s, those delightful years of supreme teenage awkwardness. Writing this particular week’s entry forced me to reflect on these difficult times and, well, I’m just getting over the feeling of continuously shuttering with mortification. However, despite my own social hopelessness, these days brought some absolutely incredible music. Three of my (current) favorites are coming at you this week, complete with my sincerest apologies for my behavior during the War on Cooties. Looking back, that pretty much ended any chance I had with girls for quite some time. You know those albums you have that permeate every memory of your life? That accompanied every late night walk home or every twilight you spent shoveling snow off your driveway? That held you through every sprawling summer night and every bit of worry about the future? Maybe it’s the music that was in your ears the first time you fell in love. For this writer, that was Iron and Wine’s blissfully, almost heartbreakingly beautiful Our Endless Numbered Days. While perhaps not the favorite of most Sam Bean-devotees (I’ll admit The Shepard’s Dog and Kiss Each Other Clean are uniquely brilliant as well), it is the diversity of emotional experience on this album that places it on another plateau. There are campfire ballads, twangy front-porch-on-a-summer-day tunes, heck even a few banjo-laden driving tracks (see “Free Until They Cut Me Down”). Most of all there are stories here, each song a precious vignette cloaked in distinctly Southern folk sensibilities. If you’re looking for the untamed on this album, those raw cuts that bring out the sinister side of Beam’s music, opener “On Your Wings” or “Teeth in the Grass” are good places to start. However, it is the quiet, crooning, lamenting tracks that comprise the vast majority of the album. Classics “Naked As We Came” and “Sodom, South Georgia” house a poet’s lyricism, with lines like “Papa died smiling, / Wide as the ring of a bell. / Gone all star white, / Small as a wish in a well” (from “Sodom, South Georgia”). 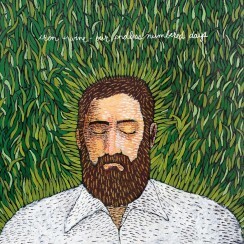 The inevitability of the passage of life (and the transcendence of coming to this realization), touched upon on “Each Coming Night” and “Passing Afternoon”, is a theme Iron and Wine grapple with poignantly on this album. The oxymoron of the album’s title strikes something deep within all of us—the seeming immortality of ourselves combined with the harsh truth that we all must die at the end of these endless, numbered days. The end of the album brings us out of Beam’s introspection into that state of necessary acceptance. In this way, Our Endless Numbered Days feels almost like a guide in appreciating the fleeting beauty of life. “Fever Dream” sways with a tip-of-the-string melody, disappearing into a metal-tinged nothingness characteristic of Beam’s songwriting. He leaves us not quietly, not loudly, not even emotionally—he’s simply passing through, as we all are. And he is giving us a piece of solace with this album, the truth that we must find our own moments of beauty in every passing afternoon, each coming night. “Hey Parker, we should try covering ‘Chicago’, I think we could do it.” So spoke my friend with whom I had tried to start a band in 9th grade—a band comprised of two pianists, a singer, and a mediocre violinist. We had no drummer so, as we started getting to work on the song, I banged arhythmically on some plastic garbage cans from my garage to fill the void. And that’s when I decided I would never disgrace a paragon of music again. 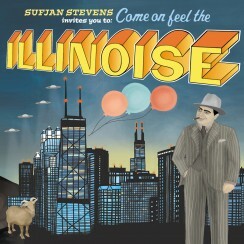 Because that’s what “Chicago”, and all of Sufjan’s 2005 release Illinois, is. The instrumentation, the lyricism, the album concept, the history lesson, the geographic dedication, the ability to smoosh songs about serial killers, UFO sightings, and predatory wasps together into something unified and gorgeous—what is there wrong about this album? As you can probably guess, Illinois could well be my favorite album of all-time. Of course, talking to myself in 2005, I would’ve said something ridiculous like the soundtrack from The Blues Brothers or some other s**t. It takes time to really understand Illinois, and not just the nearly 75 minutes it takes to get through all 22 tracks. Stevens is so prolific that each grouping of 3 or 4 tracks could stand as a full work itself, intricate, poetic, and worth many, many listens. The first five tracks of the album are all standouts, the pulsating piano of “Concerning the UFO Sighting Near Highland, Illinois” complementing the whirling horn lines of “Come On! Feel the Illinoise!” and the haunting eeriness of “John Wayne Gacy, Jr.” relieved by the subsequent groove of “Jacksonville”. Thankfully, the magic doesn’t stop mid-album, and the more stripped down “Decatur, or, Round of Applause for Your Stepmother!” and “Casimir Pulaski Day” artfully enclose the clear masterpiece, “Chicago”. By this point, however, we’re only about halfway through the album. Won’t this guy run out of ideas? Hasn’t Stevens’ played all his cards? The unique thing about Illinois is that, for an album double the length of most these days, it also manages to double its creative energy, diversity, and integrity. “The Predatory Wasp of the Palisades is Out to Get Us!” is a personal favorite, the repetition of “You were in love” amidst airy flute, bouncing guitar, racing violin, and a chorus of angelic voices a reservoir of pure emotion. “The Tallest Man, The Broadest Shoulders” still holdsone of my favorite trumpet lines of all-time, while the disappearing closer “Out of Egypt, Into the Great Laugh of Mankind, and I Shake the Dirt From My Sandals as I Run” leaves listeners with one question: How can someone do that? How can someone combine so many strands of human emotion and experience into a brief musical history of…Illinois? Four years after my first musical foray failed miserably, I did get to play “Chicago”. This time I was playing my horn with 12 of my closest friends, on a stage for roughly 500 of my peers. It felt like a culmination, like a celebration, like a repayment. But, honestly, I could never pay back Illinois for all it’s given me. It’s treated heartbreak, relieved stress, gotten me through 1 AMs, 2 AMs, 3 AMs on the highway. And it’s been there for every moment of joy and happiness. I know I sound crazy to treat this album like a person, but that’s truly what it is. In fact, it’s a family, a history, perhaps even an entire state. Opener “Bole 2 Harlem” feels like a rallying cry of sorts for the album, populated with calls of “Bole, Bole, Bole, Bole, Bole!” (a neighborhood in Addis Ababa) amidst Eastern guitar lines and an Ethiopian drum beat. The breakdown into distinct sections of hip-hop is exciting, and we see the jazz influence of Harlem start to creep in on horn heavy tracks “Hoya Hoye” and “Ametballe”. However, things do delve deeply into funk and afrobeat leanings soon thereafter and the pulsing jubilation of “HOME” shows off B2H as an orchestra more than a band. The more electronic feel of “Ya Salem” is another change of face for the group, sounding like a bizarre and exciting collision of M.I.A. and Palestinian hip-hop legends DAM. Ultimately, it is this ability to change their musical identity so rapidly that makes Bole 2 Harlem intriguing. They’re a Geography major’s dream, and in the way they affirm their many places of origin, they also flaunt all convention of those places. This writer finds the lilting “Aya Bellew” the most emotionally evocative track on this album. It has a distinct feeling of struggle to it, but a positive struggle that forces one to consider the transplantation of home and the transformation of culture. 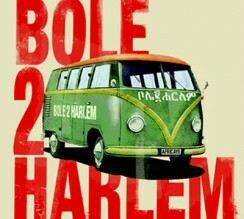 Ending track “AFRICAYE!” is a salute to home, building, building, building to the final resolute cry of “AFRICAYE!” With this album, Bole 2 Harlem do a marvelous job balancing elements of place, combining everything they know into a musical fusion of unparalleled uniqueness. They bridge some 7, 000 miles but, more than that, some billions upon billions of immigrant experiences. Their home is everywhere and, luckily for us, they’ve built part of that home in our eardrums.